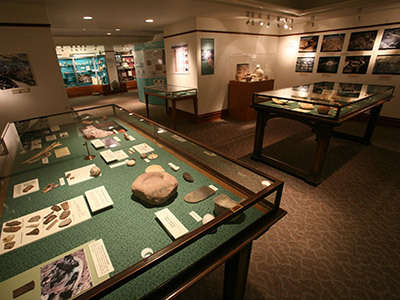 The Kelso Museum of Near Eastern Archaeology has its roots in a program of archaeological field work in the Near East that began in 1924 focusing on the Lands of the Bible: modern day Israel, West Bank, and Jordan. Its exhibits highlight daily life in ancient times including landscape and settlement patterns; domestic and communal architecture; agriculture and food preparation; technologies, crafts, and stylistic traditions; trade; religious observance; and memory and writing systems and practice. The museum is part of a multifaceted archaeology program that includes an on-going excavation at Tel Zayit in Israel as well as academic courses and a lecture program that brings leading archaeologists to Pittsburgh. Sign up to receive our e-newsletter. Enter your contact info and select "Kelso Museum News." Like us on Facebook and receive news about our upcoming events.